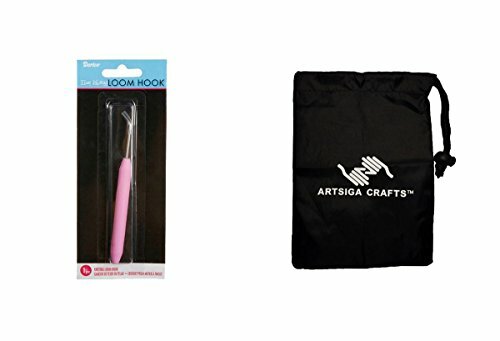 Bundle includes Darice Knitting Loom Hook (8 Pack) 1171 76 and 1 Artsiga Crafts Small Bag. Price includes 8 pack(s) per order, with 1 piece(s) per pack. Artsiga Crafts bag measures approximanetly 6 x 8in., made of heavy nylon material and includes a drawstring closure; this bag is deal to store small craft items or cell phones and accessories. View More In Knitting Looms & Boards. If you have any questions about this product by Darice DIY Crafts Supplies, contact us by completing and submitting the form below. If you are looking for a specif part number, please include it with your message.